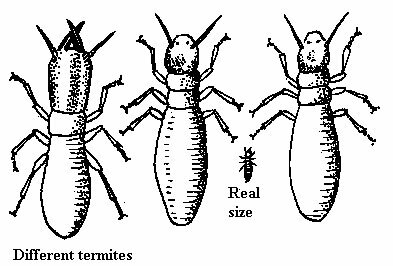 Termites are not all the same nor do they all live in the same way. 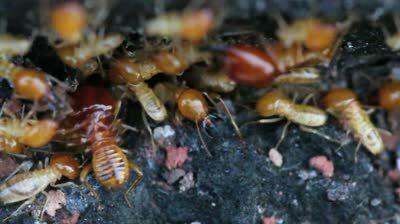 There are many different species of termites spread all over Australia occupying many different ecological niches. Termites in Australia are generally categorised into the following species. The way nests are constructed differs between various species of termites. Some, such as Amitermes sp. do not construct a central nest. Others, such as the economically important Coptotermes, Mastotermes, and Schedorhinotermes sp. build a central nest, either in soil or in living or dead trees. 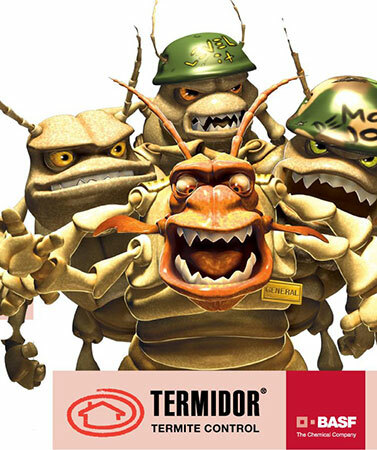 These are the termites which attack homes in Australia. 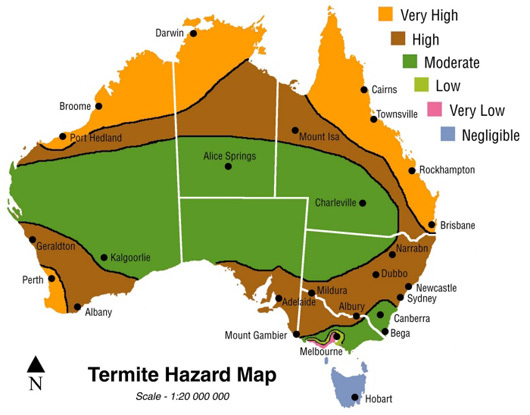 The coastal belt up from the Queensland/NSW border and northern parts of Australia are at very high risk from these species of termite. Other species, such as Microcerotermes and Nasutitermes sp. construct a nest in a tree but build and maintain covered tube galleries running down the tree to the soil below. Another Nasutitermes sp. in northern Australia is the one responsible for the tall nest structures in spinifex country – up to six plus metres tall. No two species of termite build exactly the same sort of mound and even within a species the mound can have geographical variation of form but if you can see a mound or nest anywhere near your home – there are termites present.